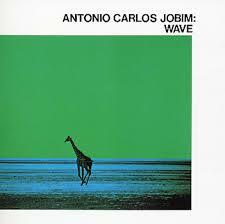 “Wave,” or “Vou Te Contar” in the original Portuguese, is a classic bossa nova song by Antonio Carlos Jobim. It’s one of Jobim’s loveliest songs. “Wave” was recorded on August 13, 1970 and released that year on the album Tony Bennett’s “Something”. It was arranged by Peter Matz. “Wave” was recorded on January 31, 1971 and released that year on the album Get Happy with The London Philharmonic Orchestra. It was arranged by Peter Matz.